Canine inspired goodies for your bff and dog obsessed loved ones this gift giving season. The perfect gift for the pet parent of the boisterous and roll loving pup. 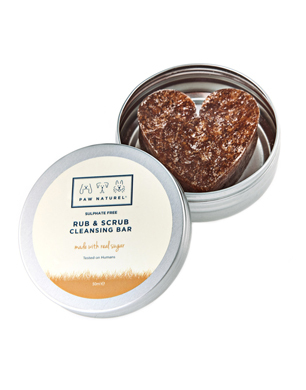 This super cute all natural cleansing bar is great for cleaning paws and spot cleaning stinky stains after a funky roll around in the park. 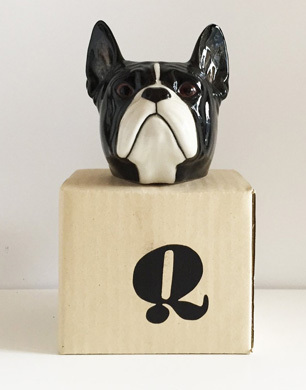 Lovingly hand crafted in the UK, this French Bulldog egg cup will bring a smile to any dog lovers face. Capturing the fun and quirky nature of the breed, this hand painted Stoneware egg cup is full of charm and won’t fail to delight this gift giving season. Pups can join in the cracking pulling fun this Christmas with their very own Merry Pawmas cracker. Packed full of tasty fish treats, a mini cleaning bar, nose and paw balm and premium dog shampoo, this all natural doggie gift is a guaranteed winner this festive season. Bringing together Paw Naturel’s best selling Sugar Candy Dog Shampoo, Fragrance and NEW Rub & Scrub Cleansing Bar into one luxurious gift set. With a sweet but not over powering scent, the Sugar Candy dog shampoo leaves dogs coat naturally cleansed, enriched and smelling gorgeous whilst the water based fragrance is ideal for use in between baths to keep dogs smelling divine. Amazing results yet sulphate, paraben and alcohol free, cruelty free, and 100% vegan friendly. Do you look like your dog memory game? One for dog lovers everywhere, this beautifully presented card memory game will keep everyone guessing this Christmas. 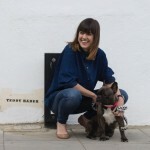 Photographed by talented British photographer Gez Gethings, each card oozes character, not only of the breeds featured but of dog owners themselves. This gender and size neutral gift delivers fun with function. 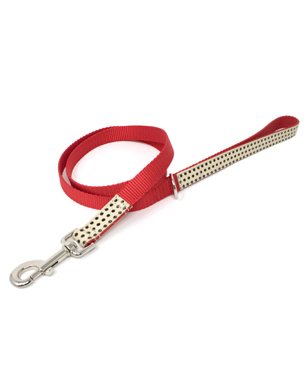 Lightweight and durable, this colourful and hard wearing leather and nylon dog lead will brighter up even the darkest and dreariest of winter walks. This gorgeous gift set is the perfect present for your dog loving bestie. 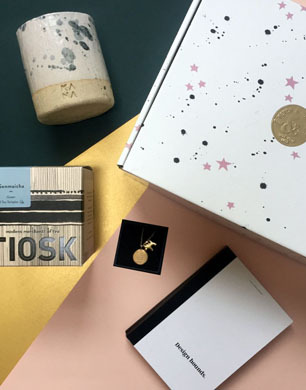 With a brass doggie necklace, handmade ceramic mug, Tiosk tea bags and copy of Design Hounds Postcard book, packed full of cheeky illustrations and heart-warming portraits, your favourite friend will be thrilled with this design led offering. When it comes to statement canine neckwear, Boughton &Co always have it covered. Their vegetable tanned leather collars are lovingly hand painted with an iridescent paint to produce a shine that shifts and changes with the light. 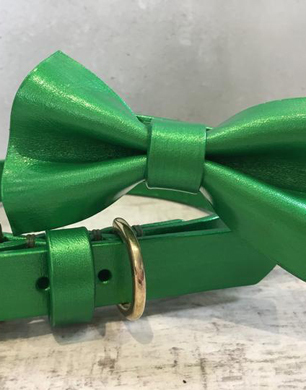 With six colours to choose from, these attention grabbing dog collars are perfect for pups that like to go ‘out out’ this party season. This luxury gift hamper is packed full of Mutts & Hounds most popular gift items, including one of their famous handmade bow ties, a choice of dog biscuits and plush toy, a rope ball toy, a dual sided brush, a luxurious finishing fragrance and conditioning coat spray. 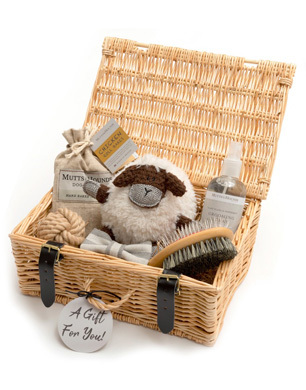 All beautifully presented in a 12″ natural wicker hamper which can be used again and again. 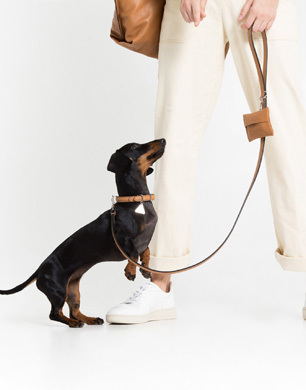 An elegant and smart alternative to the standard plastic swinging holder, this contemporary leather poop bag pouch is handcrafted in Spain from natural vegetable-tanned leather and finished with painted edges, nickel-free hardware and blind-embossed logo. Packaged beautifully in a Growlmama gift box and reusable tote bag, this pouch is a stand out winner for your most sophisticated dog owning friend. For the dog lover who has everything. 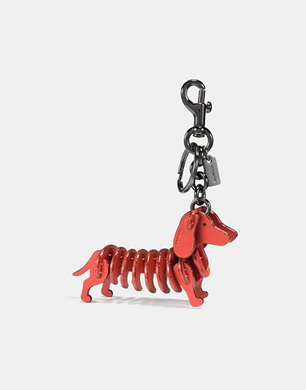 Crafted in Coach glove-tanned leather with glitter stained edges, these dog puzzle bag charms in metallic brick will put a smile on the face of the most discerning of pet parents. 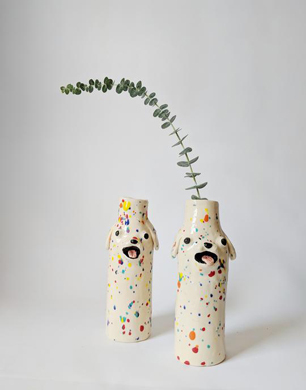 Based in California, dog loving artist Katie Kimmel brings her fun, quirky style to the world of ceramics. Daughter of late night US TV host Jimmy Kimmel, Katie hand makes and hand paints these unique dog vases, each one full of personality and charm.